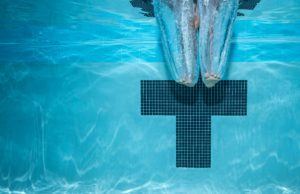 Australia has named its rosters for the Junior Pan Pacific Championships, Youth Olympic Games and Oceania Games, with breakout teen backstroke Kaylee McKeown among the nominees. Archive photo via Swimming Australia, Ltd.
With the conclusion of the Georgina Hope Foundation Age Championships, Australia has named 47 swimmers to its elite junior international rosters for this summer’s Junior Pan Pacific Championships, Youth Olympic Games and Oceania Championships. 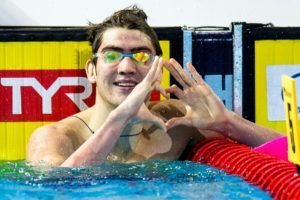 Powerhouse swimming state Queensland leads the number of athletes selected to the squads with 23, followed by New South Wales, Victoria, West Australia and South Australia. Notable names among those selected include Chloe Gubecka, 3rd place finisher in the women’s 10k open water race at the 2017 Australian National Championships, versatile 2:10.51 200 flyer/1:58.91 200 freestyler Michaela Ryan and national junior record holder multiple times over, Thomas Hauck. 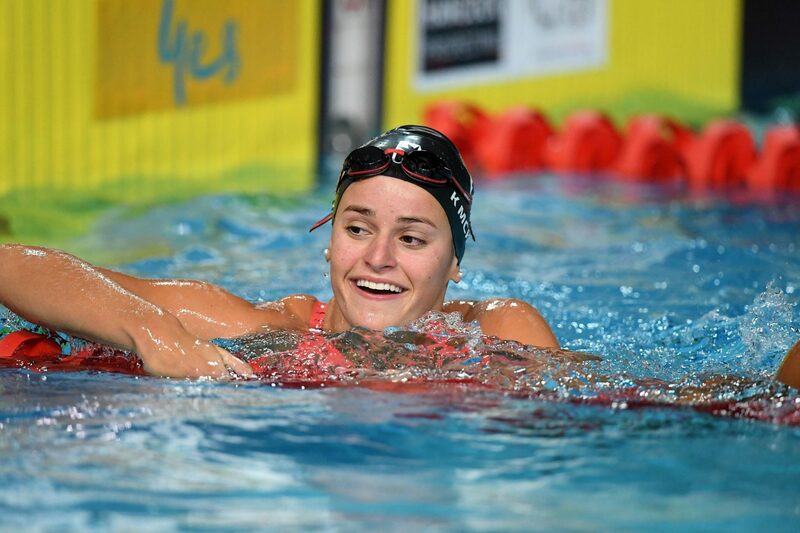 Also of note is the fact that 4th place finisher in the women’s 200m backstroke at last year’s senior World Championships, Queenslander Kaylee McKeown, will be competing at the Youth Olympic Games in Buenos Aires. Lewis Blackburn (NSW), Ashton Brinkworth (WA), Shaun Champion (NSW), Kayla Costa (VIC), Jack Edie (NSW), Jacinta Essam (NSW), Jenna Forrester (QLD), Chloe Gubecka (QLD), Silas Harris (VIC), Ty Hartwell (QLD), Thomas Hauck (QLD), Chelsea Hodges (QLD), Joseph Jackson (QLD), Tara Kinder (VIC), Eliza King (QLD), Se-Bom Lee (NSW), Angus McDonald (NSW), Thomas Neill (QLD), Max Osborn (QLD), Lani Pallister (QLD), Thomas Pearson (VIC), Georgia Powell (QLD), Natasha Ramsden (NSW), Michaela Ryan (QLD), Emma Siddle (QLD), Brendon Smith (VIC), Kara Svenson (QLD), Stuart Swinburn (NSW), Tahlia Thornton (WA), Abbey Webb (QLD). Team Coaches: Janelle Pallister (QLD), Scott Talbot (VIC), Justin Bell (QLD), Sean Eels (QLD), Mitch Falvey (NSW), Bruce Vyvyan (NSW). Lewis Blackburn (NSW), Ashton Brinkworth (WA), Joseph Jackson (QLD), Stuart Swinburn (NSW), Chelsea Hodges (QLD), Kaylee McKeown (QLD), Michaela Ryan (QLD), Abbey Webb (NSW). Josh Edward-Smith (WA), Aaron Mansfield (QLD), Oliver Nash (VIC), Finn O’Connor (NSW), Alex Quach (NSW), Marco Soesanta (VIC), Lachlan Colquhoun (QLD), Ethan Owens (SA), Kara Broadbridge (WA), Lauren Gastevich (WA), Rebecca Jacobson (QLD), Sharni Robinson (QLD), Phoebe Walker (QLD), Emily White (SA), Ebony Blackstone (QLD), Phoebe Hines (QLD).